Aharbal waterfalls are located about 75 KMs from Srinagar, on the Veshu (Veshav) river, which is a tributary of Kashmir's own Jhelum river. 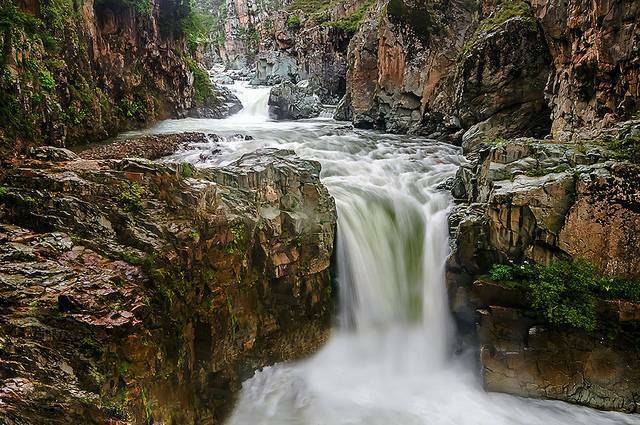 The gushing waters of Aharbal falls is truly a sight to behold. Aharbal is about 3 hour drive from Srinagar and is also a popular destination for fishing and trekking. Remember to take fishing permits from the Fisheries department located in Aharbal town. Also exercise caution and do not go very close to the waterfall as the terrain can be slippery and the force of the water is quite powerful.